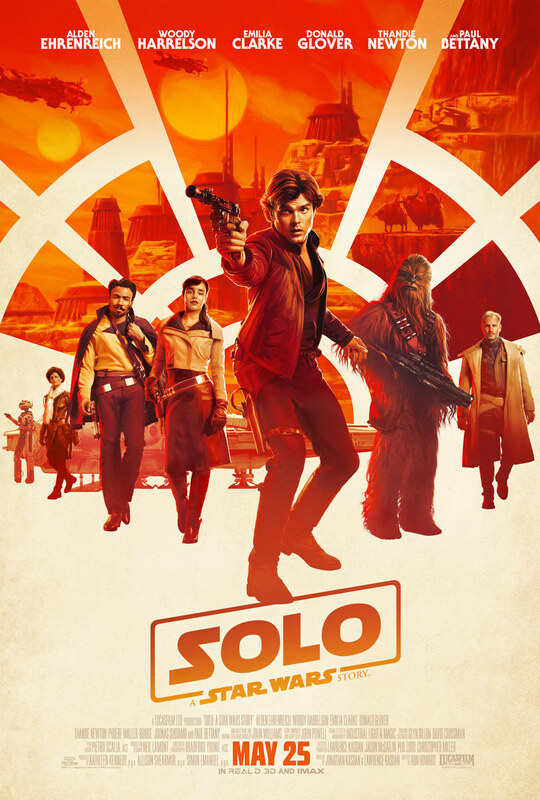 This week on The First Run, Chris and Matt weigh in on ‘Solo: A Star Wars Story’. Have you ever wondered how Han Solo got the Millennium Falcon? Well, actually see it happen? We all now how. How about Chewie? Are you interested in seeing how Han and Chewie met? And how did Han get so bitter? We’ll find out a bit about that. But does a character so ingrained in pop culture need an origin film? STAR WARS! Matt and Chris also discuss the sci-fi action-er ‘Upgrade’. Director Leigh Whannell’s film stars Logan Marshall-Green as a fine young gentlemen that suffers various tragedies, gets a crazy smart computer chip thingee upgrade that gives him some new abilities to help him avenge his wife’s murder (that’s one of the tragedies). But that’s not all! There’s the always reliable rundown of the big releases on Blu-Ray & DVD, featuring the Straight to DVD and Streaming Picks of the Week. Then it’s the return of The Lounge as Chris and Matt discuss the uproar over the online abuse of Kelly Marie Tran, the Cinemascore for Hereditary, the new Halloween trailer, and the proposed Jared Leto ‘Joker’ movie. Gosh, that sounds like fun. Cool!